It seems as though essential oils are becoming more popular each day. Essential oils can be derived from many sources. Different essential oils can be used in various home remedies. However, it is important that these essential oils are used safely. If used incorrectly, essential oils can lead to skin reactions, including dryness, rash, or an allergic reaction. This article is here to teach you the various ways in which you can use essential oils effectively and safely. There are three main ways in which essential oils can be used for home remedy purposes: aromatically, topically, and internally. Aromatics are diffused in the air. They are meant to be smelled. Smelling essential oils are best when you want a mental effect from the essential oils. If you are suffering from depression, anxiety, or insomnia, using essential oils aromatically may be able to help. Some of the best essential oils for aromatherapy are peppermint, lavender, jasmine, rosemary, ginger, rose, and frankincense. There are several ways to use essential oils aromatically. Put your diffuser where it will be the most useful for you. The best spots for diffusers are in open spaces, so the essential oils have the opportunity to spread. However, do not put the diffuser directly below/in front of a fan. Add water to the fill line. Tap water will work fine for this. Do not overfill the diffuser, as this may cause it to leak or overflow. Add three to ten drops of essential into the diffuser. If you are using one type of essential oil, then use less oil, closer to three drops. If you are making a blend, you can use closer to ten drops. However, try not to exceed using ten drops at a time. Turn on the diffuser and enjoy the essential oils and aromatherapy benefits. When you are done using the diffuser, clean it out. You can do this by unplugging, emptying the leftover water, and wash the diffuser with warm water and a small brush (paint brushes work best). When done, you can also use rubbing alcohol to sanitize it. Let the diffuser dry completely before using it again. 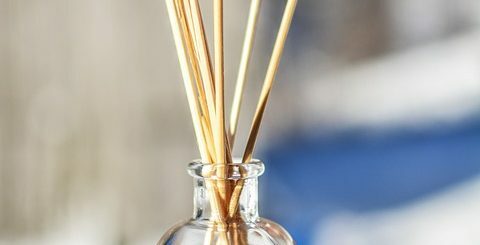 If you do not want to use a diffuser, you can simply use cotton balls to get a more direct experience with the essential oils. To do this, put up to three drops of your favorite essential oil on a cotton ball. Hold the cotton ball a few inches from your nose and inhale the essential oil. Only do this for a few minutes at a time. Making a homemade air freshener is another great way to use essential oils for aromatherapy. To make your own air freshener, begin by filling an empty spray bottle with tap water. Do not use a bottle that was formerly used to hold cleaning chemicals. Mix one cup of water with eight drops of your favorite essential oils. It’s as simple as that. Since there are no harmful chemicals, you can use this in any room of the house, on furniture, and clothing. Using an essential oil topically means that the oil needs to be applied to the body. Usually, the oil is applied to the skin, but it may also be applied to the hair. This is one of the more risky ways to use essential oils–if you don’t know what you are doing. However, if you know how to use essential oils safely, then this can be one of the most effective ways to use the oils. Essential oils should almost always be diluted in water, oil, or another substance before use. This helps to lower the amount of the oil that is used, which in turn, reduces the likelihood that the skin will become irritated. Essential oils are also easily absorbed by the skin, so it does not need to use more than once every few hours. Having several small doses of essential oil a day is more effective than one large dose. When using essential oils topically, it is best to avoid the following areas: around the eyes, inside the ears, on or around genitalia, and on cut or cracked skin. These areas of the body are commonly too sensitive to use essential oils on. One of the best ways to use essential oils topically is to mix a drop or two in a bit of moisturizer, coconut oil, or olive oil. This is the easiest way to get the essential oil on your skin, without risking harming your skin. Plus, this way, your skin is also moisturized at the same time. If you like, you can also add about twelve drops of essential oil in a full bottle of moisturizer, so you do not need to mix in individual drops each time you want to use the moisturizer. Another way to use essential oils topically is to draw a bath and mix in a few drops of essential oils. This is a great way to use essential oils topically if you need to use the oils on your entire body. To use essential oils in a bath, fill a bathtub with warm water. As the tub is filling, tip n about ten drops of essential oil in the water stream, as this will help the oil to spread throughout the whole bath. Do not add any other soaps to the bath if you are using essential oils, as some soaps may not react well with essential oils. If you do not like taking baths, you can instead mix a few drops of essential oils in either your body wash or shampoo, depending on what benefits you are hoping to get from using the essential oils. Making an essential oil compress is quick and easy. To begin, fill a bowl with a cup of water and five drops of your favorite essential oils. Wring out the cloth before applying it to the affected area. A compress can have different benefits, depending on which type of essential oil you use. Using essential oils internally (ingesting them) is most useful when your health problems are mostly affecting the inside of your body: digestive problems, blood problems, etc. The best essential oils to use internally are ones that come from herbs. These include basil oil, oregano oil, and peppermint oil. There are several ways to use essential oils internally, including in recipes, drinks, and in capsule form. One of the most common ways to take essential oils internally is to add them to recipes. Essential oils can be used in recipes as a replacement for herbs. When using essential oils in recipes, it is important to remember that essential oils are more “powerful” in their flavors than fresh or dried herbs. Only use small amounts of essential oils when using them in recipes. If you need a very small amount of oil in your meals, you can use a toothpick to drip the oil into your food, instead of draining the oil directly into your food. This works well for single servings of meals. When using essential oils in a beverage, it is important to dilute the oils before drinking them. Because of this, it is important to know not to drink the oil directly out of the bottle. Instead, you can add a couple of drops into a beverage of your choice. However, putting the drops directly into your water will not blend the mix well. After all, water and oil don’t mix. One great way to mix essential oils into your tea, for example, is to mix a drop or two of oil in a tablespoon of honey. You can then mix the honey into your tea. Some oils that work well in tea are lemon oil, other citrus oils, lavender oil, and peppermint oil. Do not drink essential oils if you have mouth sores or stomach problems. This is likely to make your problems worse, not better. Overall, you should consult a doctor before drinking essential oils, as this is one of the riskiest ways to use essentials. Using essential oil capsules is one of the safest way to use essential oils, as they are already pre-measured. This will ensure that you do not use too many essential oils. Of course, this only stands if you take the capsules as directed. 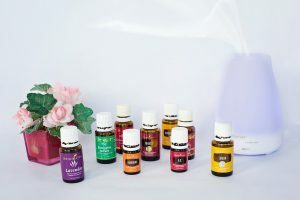 Taking essential oils are great for those who are nervous about taking essential oils in another form or for those who do not like the taste of certain essential oils. 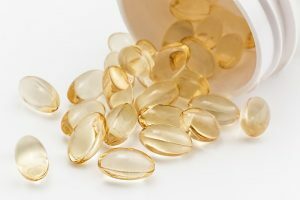 Knowing what essential oil capsules are good for is easy to know, as the benefits are often listed on the bottle. Simply take the capsules as directed to gain health benefits from it. Do you have any other tips on how to use essential oils? What are your favorite oils? Is there anything else you would like to learn about essential oils? If so, comment below!